The last thing John Gideon wants is another wife. Mere weeks have passed since John buried his wife, but he must trudge forward. For the sake of his three little ones, he has no choice but to remarry. His mail order bride must agree– this marriage will be strictly business. The War Between The States cost Millie her kind, gentle husband. He came back in body, but his soul was ravaged by war. To save herself and the life of their toddler son, she leaves her abusive husband though she has nowhere to go, no money, no family. A single option surfaces– a farmer has sent for a mail order mother, housekeeper, and help-meet. It’s a marriage in name only, so she justifies disappearing into the west and keeping her secrets. …a marriage her husband vowed she’ll never escape. Oliver Owens warned Permilia the only way she’d leave him would be through the undertaker. It’s only a matter of time before he catches his runaway wife. He doesn’t want a wife. She doesn’t want a husband. Novella-length (approx. 35,000 words, 126 paperback pages) sweet/wholesome historical romance complete with a hard-won happily-ever-after. Gideon’s Secondhand Bride is a FREE Read with kindleunlimited. 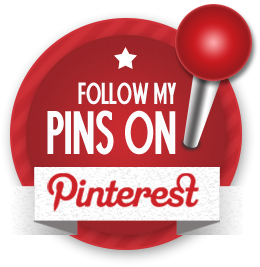 GIDEON’S SECONDHAND BRIDE has a Pinterest Board! See inspiration, vintage images, special details behind this novella.